Imagine seeing A Christmas Carol at the San Jose Repertory Theatre in the morning, and the Firebird Chinese Youth Orchestra in the afternoon, or the Symphony Silicon Valley followed by San Jose Taiko drummers. 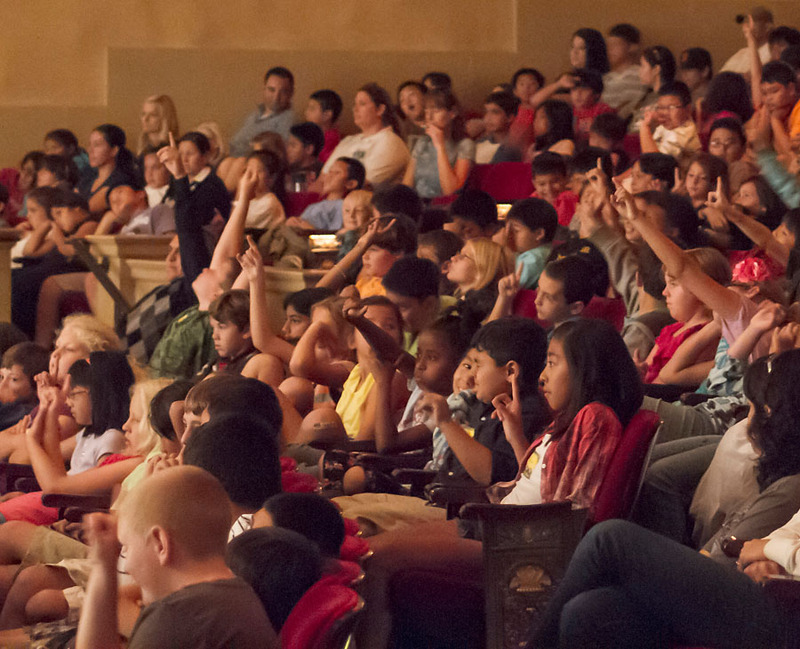 Over 17,000 Santa Clara County 3rd and 4th grade students had that chance during the 2011-12 school year, thanks to ArtSPARKsv, a part of 1stACT Silicon Valley’s Children’s Creativity Network. Administered by Symphony Silicon Valley and delivered by a range of arts groups, ArtSPARKsv exposes children to high-quality visual and performing arts programs that highlight our community’s diversity. ArtSPARKsv’s goal is to serve every 3rd through 6th grader in the county, offering all children the opportunity for multiple “aha!” arts encounters that inspire future engagement and promote a shared cultural vocabulary. A day at the theater for ArtSPARKsv students. Shaped by the observation by arts providers that their outreach programs have limited reach–with the same small group of schools and teachers attending year after year—ArtSPARKsv removes the barriers to participation, dramatically increasing the number of children accessing the arts. Teachers no longer have to organize and raise money for field trips. Symphony Silicon Valley plans, schedules, and coordinates the paired events with schools and school districts, and contracts with artists, venues, and bus companies—all at no cost to the schools. 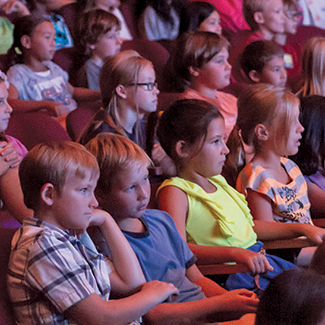 It’s better than a two-for-one; thanks to donors and the fledgling ArtSPARK program, it’s two-for-none: Schools don’t pay for the concerts or the buses. Student and teacher surveys and focus groups were very positive, providing valuable feedback to strengthen the program structure and content. Among improvements in 2012-13, ArtSPARKsv created a website for teachers, who can now easily access Study Guides and logistical information whenever they wish. The program continued to scale up in 2012-13, expanding the number of 3rd and 4th graders, and adding 5th graders, who experienced world dance, music, and/or visual arts at Montalvo Arts Center, the Mexican Heritage Theatre, and the San Jose Museum of Art. The total number of students served by ArtSPARKsv nearly doubled in its second year, to 33,000.